Mint developers have forked gnome-shell, their aim is to provide all the goodness that gnome3 brings with familiarity of gnome2. 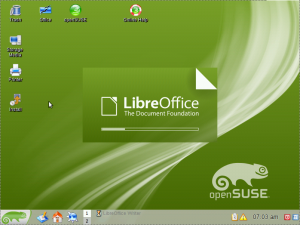 If you are using openSUSE 12.1 and want to try out this new DE get the test packages here. There are some issues like it is still not possible to configure everything via a GUI(use dconf-editor). I guess this is because the project is in initial stage and the rough edges will be sorted out as further development and contributions flows in. Please note that the package is for testing purpose only, it will not be maintained/updated in future, so if you are a developer who can hack and want to contribute to that project check it out, please report bugs directly on cinnamon project issue tracker, preferably with a patch fixing the issue ;). More information about the project is here and here. EDIT: Please see this http://en.opensuse.org/openSUSE:GNOME_Cinnamon Nelson Marques is doing the official packaging for openSUSE distribution. After having read an answer containing a rude “RTFM” on one of the openSUSE mailing lists I think I have to make a point. A very important one, since it seems to become a habit to be brief and put information into single spots only, which might be found with Google. Helping users, and I don’t mean only new users, cannot be done with pointing them to Google all the time unless it’s a very well-known issue. A Unix system like Linux comes from a very good tradition of man pages, howtos and other local information e.g. files in /usr/share/doc/packages/. Unfortunately this tradition seems to be dying. This wouldn’t be dramatic if there would be more openSUSE specific documentation, but this is not the case. It’s either brief, old or fragmented over the net in blogs or mailing list archives. Especially the latter may be a good source for solving problems, but some threads are filled with long discussions and the satisfied solution cannot be found with a few glimpses or even clicks. Writing things in your personal blog is good and welcome, but at the same time there should be an SDB article about the provided solution. I have to add that there are a lot of people who already put a lot of effort into documenting things. This post is not to criticize, but to support them, so that there are not only a few who contribute valuable help to users. 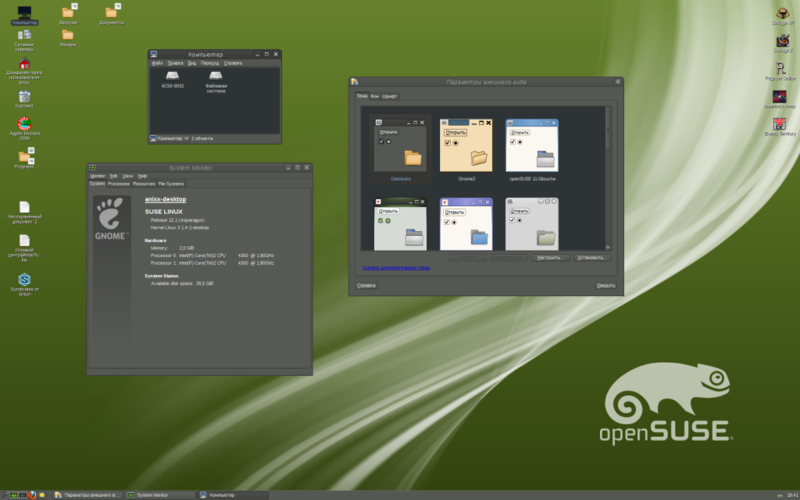 This is an openSUSE 12.1 KDE3 LiveDVD from the KDE:KDE3 repository maintainer. Unlike other similar LiveCDs, this build includes extended set of software, not only from official openSUSE 12.1 repository, but also from KDE:KDE3 repo. 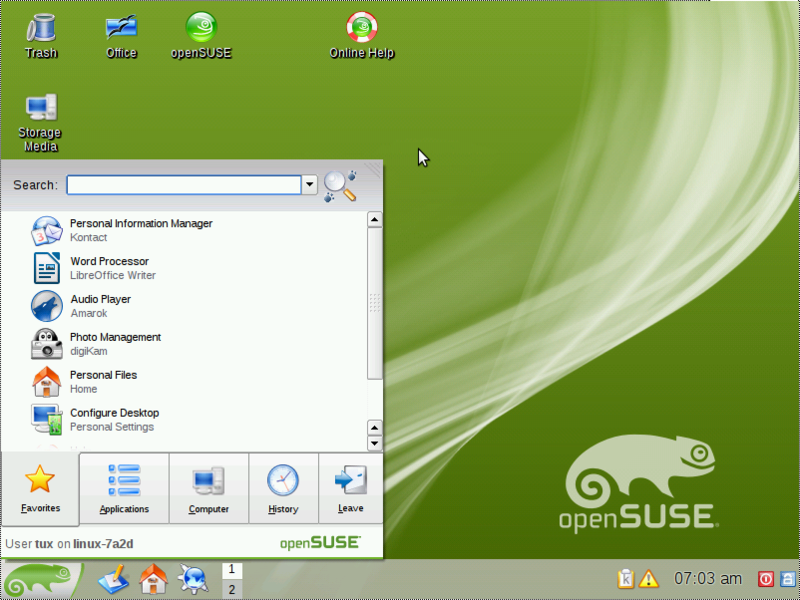 The image includes openSUSE-specific presets and an auto-updater applet which allows to keep your installation up-to-date. 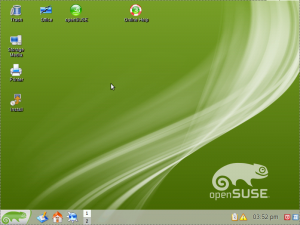 Since the final KDE3 release KDE3 in openSUSE repository undergone several changes. The most visible fixes include the appearance of the “classic” style of the taskbar (the button of the active window now appears pushed, something that was broke in the last KDE3 release); the selection of the icons on the desktop now resembles the style used in the file manager with rounded corners. 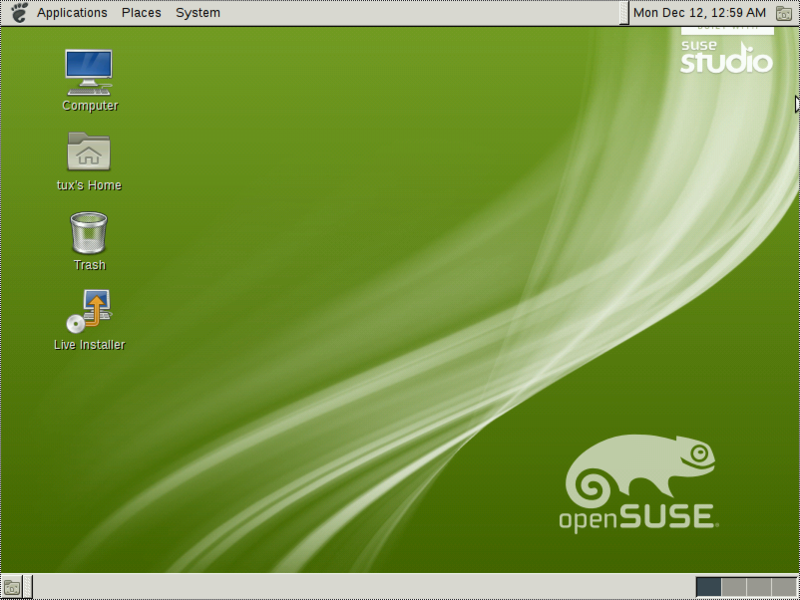 The LiveDVD ships with openSUSE artwork and exclusive openSUSE-style window decorations. The appliance is capable of being cloned so to create derivatives. 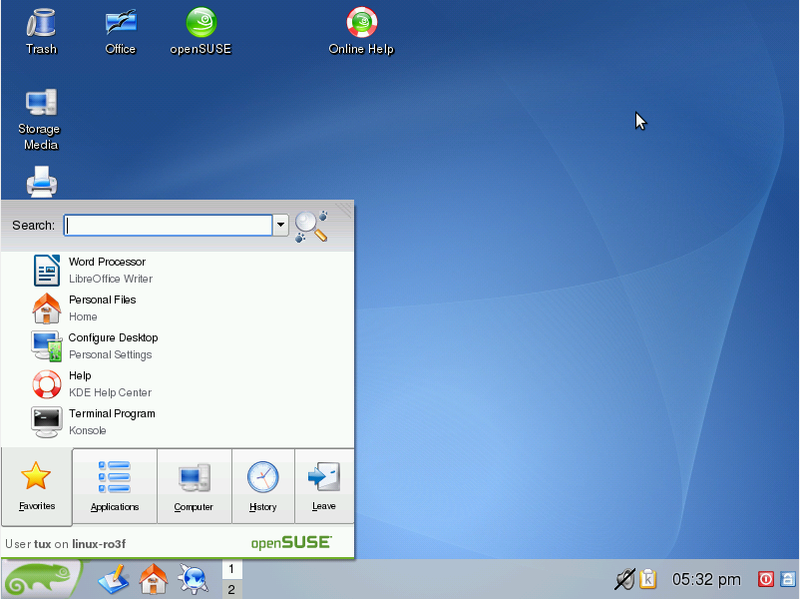 I used Suse Studio to create this openSUSE 12.1 Gnome 2 Live CD. TL;DR: openSUSE as a project needs to raise its game, and the next openSUSE Board can guide the project to agree a tight set of goals for our releases and work to a higher standard on them. Otherwise we risk being an undirected mess of pet projects, bikeshedding discussions and bickering tribes. Read more at my platform page. Then go and vote! browsed through a book, used your favorite search engine, or posted on LinkedIn, Xing, or the DocBook mailinglist to hunt for answers to your problems? The tongue-twisting name is a word play and picks up the two central topic about DocBook and cookbook. 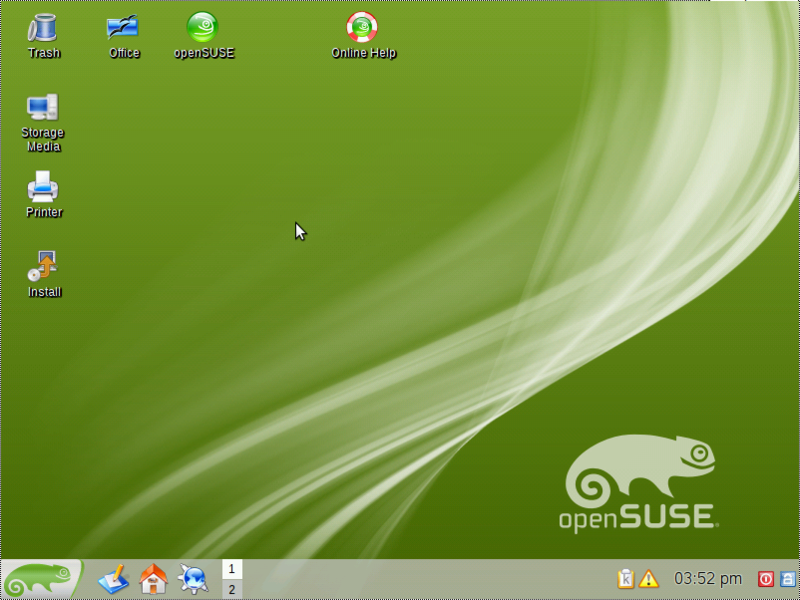 Updated to openSUSE 12.1 I found myself feeling nostalgia about Gnome 2 which was featured as part of openSUSE 11.4. I quickly enabled openSUSE 11.4 repository and carefully installed Gnome 2 packages from there. 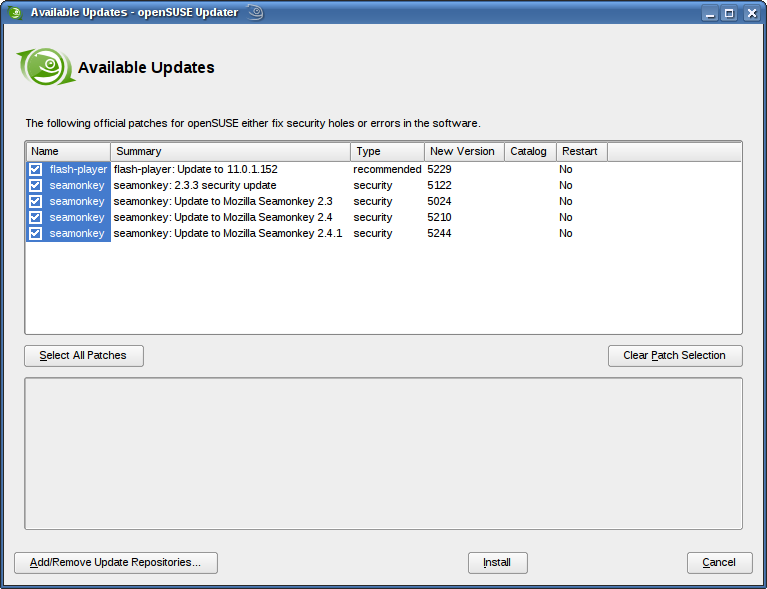 After installing each package I barred version modification and thoroughly checked so that no Gnome 3 packages installed. After work done I found that Gnome 2.32 works under openSUSE 12.1 pretty well without visible glitches. As KDE3 is again part of the official openSUSE 12.1 repositories (thanks to all who made this happen), I took the chance to create an installable livecd. 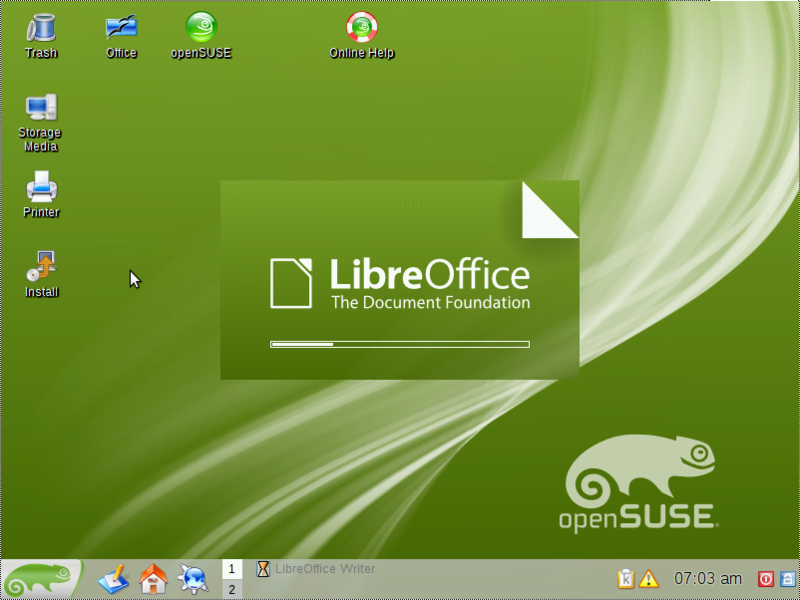 Besides a preconfigured KDE3 desktop, it contains additional software like Mozilla Firefox, Thunderbird and LibreOffice. YaST2 is available for administrative tasks like system configuration or software management. The media does not contain all language packs due to size limitations, but they could be easily installed. The KDE3 language packages are named kde3-i18n-$LANG, e.g. kde3-i18n-eo. In order to to emphasize the feeling of good old times, the artwork is based on SUSE 10.1. 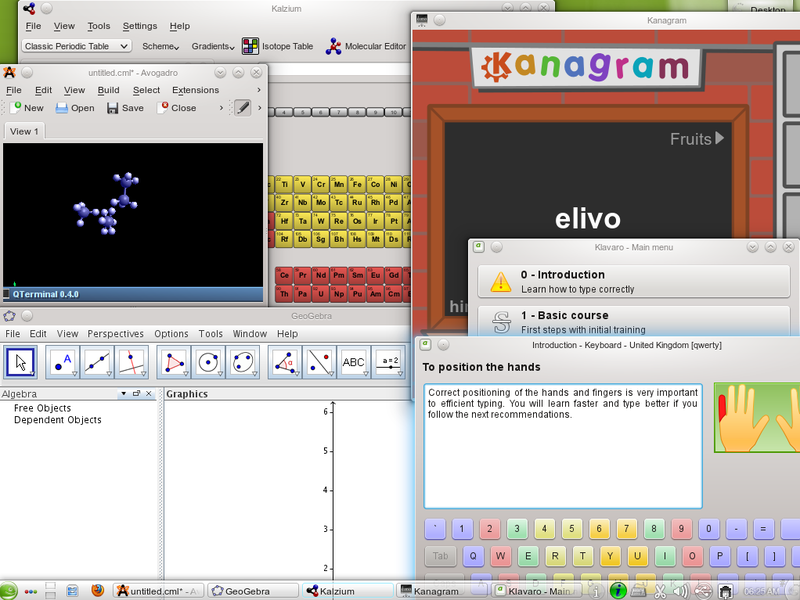 The kde3-gtk-qt-engine is included to give a unique experience over GTK and QT applications and KDE4 applications make use of the Plastique widget style and Plastik colors. If you got any further questions concerning KDE3 on openSUSE, please take a look at the openSUSE KDE3 wiki page and join the mailinglist.